Freebies & Deals around the web – carefully hand picked for you! 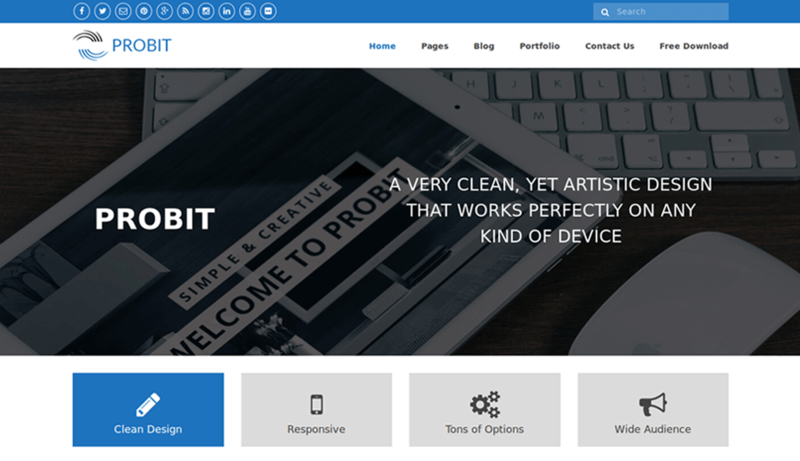 Probit is a free responsive WordPress theme that generously provide more functionality and excellent support. This theme is bristled with pixel perfect design, custom page templates, 3 different blog templates and lots of other great features. Icons with font awesome support will enhance your showcase elements, and theme options (available as customizer) increase re-usability of this theme. It also includes countless theme options to alter different theme aspects. The best thing about this theme is that you can use it free of charge for your marketing, corporate or professional business website.